Joanne Sher: Editor/Proofreader : Why? Why is a common question from kids - AND adults. We want to understand the reason for things - it's natural. Sometimes those why questions can be tougher than others. Sometimes, we expect a certain result, and get the opposite. And we want to know why. 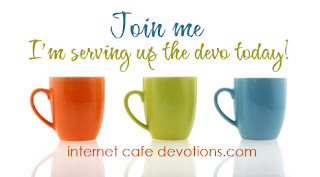 I'm over at Internet Cafe Devotions today, talking about just that - and how it relates to an Old Testament matriarch, contentment, and being satisfied WITHOUT the answers. Hope you'll stop by and learn about His answer to a commonly asked question: if all is well, Lord, why am I like this?